How to Catch a Snowman by Adam Wallace and Andy Elkerton! Your kids will LOVE this new book! 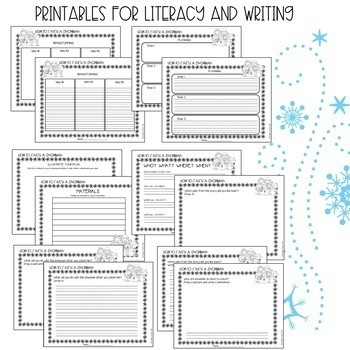 I have incorporated literacy response sheets, writing materials, flip books, reading skills and strategies work, crafts and drawing, and an emergent reader all to go along with this fun story for WINTER! Who? What? When? Where? planning page..Who will help you? What will you need? Where will you do it? When will you do it? Thinking about DETAILS! What plan from the story did you like best? Draw it! What plan from the story did you like best? Write it! What will you do with your snowman after you catch him? Draw it! 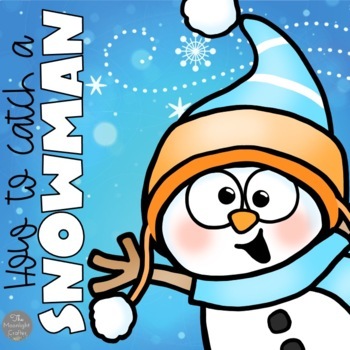 What will you do with your snowman after you catch him? Write it! Why do you think snowmen are so hard to catch? LOL! ? How do you think the snowman might feel if you catch him? includes blank snowman face template for drawing his feelings and a space for naming his emotion! How would you feel if you caught him! Winter boy and girl face templates for drawing and naming the emotion! Snowman Snacks! Make a list of what snowman snacks you would try to use to trick the snowman!! Snowman Accessories! 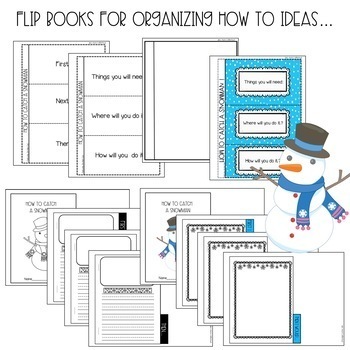 Make a list of snowman accessories! Snowman ABC Order: write the words from the story in ABC order! Snowman Punctuation! Read the sentences and add the proper punctuation! Snowman Words: write words to describe snowmen! Emergent Reader: How to Make a Snowman...if you can't catch one, make one! How many words can you make with the letters in SNOWMAN? 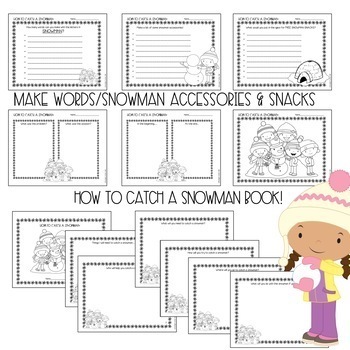 How to Catch a Snowman Book: a book with spaces for drawing!